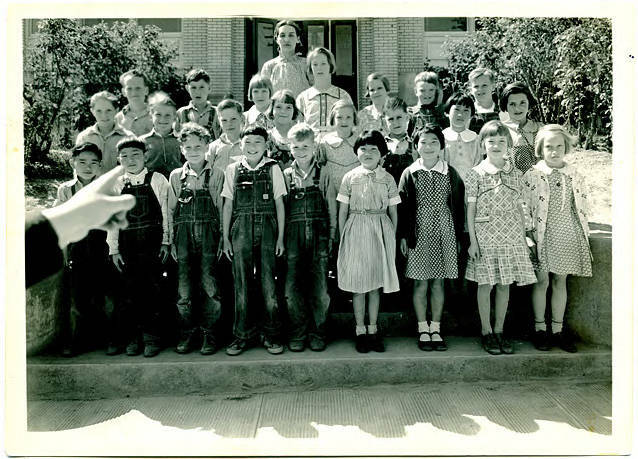 Black and white image of a group of students gathered in front of Gaston school. 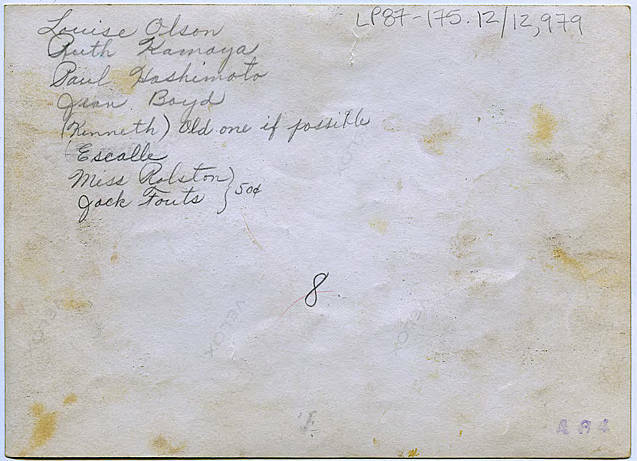 These students all lived in Yamhill County according to school district records, but their school was in Washington County. Of the forty-four students listed on the school record, twenty have Japanese names. [back] [pencil] Louise Olson. Ruth Kamaya. Paul Hashimoto. Jean Boyd. (Kenneth) Old one if possible. Escalle. Miss Ralston, Jack Fouts } 50 [cents].